TO THE TABLE Europe 2017 Sells Out! TO THE TABLE. Industry news for your specific industry sector. All the available buyer and supplier places have now been contracted for TO THE TABLE Europe 2017 and the event is now offically full. 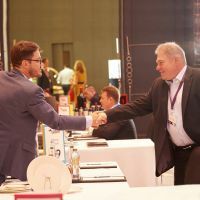 We have a great group of buyers and suppliers attending the event, and we are looking forward to hosting them at the Ritz Carlton Penha Longa Resort. Registrations for TO THE TABLE Europe 2018 will open after this years event is completed in April and the exclusive invitations will be sent out, so that you have a year to plan for your 2018 attendance.